The creation of a joint missile defense system of the Shanghai Cooperation Organization is possible in the future, Russian experts said Monday during a media forum in Moscow. However, currently only two country members, Russia and China, have missile defense components.The main theme of the forum was the deployment of THAAD missile defenses in South Korea. Earlier in July, South Korea and the United States announced they agreed to deploy the system in the South Korean Seongju to counter North Korea’s missile threat. Unilateral buildup of missile defense systems could harm stability in the world, while one country cannot ensure its own safety at the expense of other states, the SCO states said in the final declaration of the organization’s summit in Tashkent which took place in late-June. 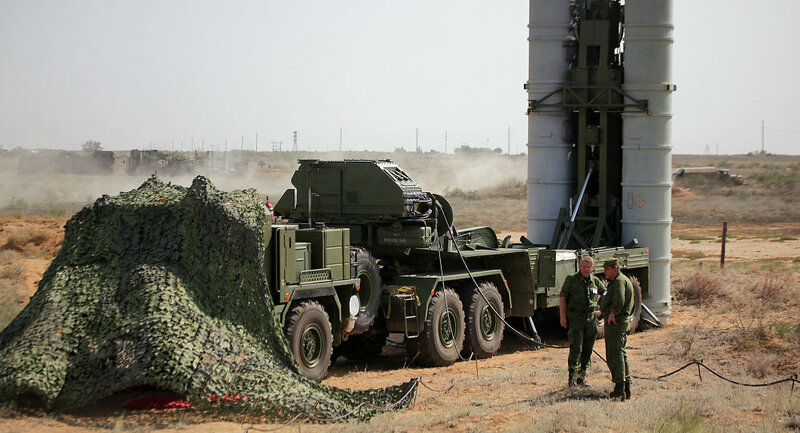 “Talking about a SCO missile defense system, not all the countries can do that, except for Russia and China,” Valdimir Evseyev, senior analyst at the Institute of CIS Countries, said. His opinion was shared by Vladimir Petrovskiy from the Institute for Far Eastern Studies, the Russian Academy of Sciences. “Russia and China could be the driving force for such an initiative. Special attention should be paid to ground-based intercepting systems we have in service,” he said. He also noted that recently the US, South Korea and Japan conducted drills with use of the Aegis missile defense system. According to him, Russia and China could respond to the move with a joint exercise at the Ashuluk training range in Russia’s Astrakhan Region. Russia and China has already gained joint experience in missile defense training. For example, in May, Russia and China conducted the first computerized missile defense drills. The Shanghai Cooperation Organization member states underscored the importance of the need to maintain the unity, sovereignty, territorial integrity and stability in Syria. TASHKENT The Shanghai Cooperation Organization (SCO) states in the final declaration of the organization’s summit in Tashkent stressed that the political settlement of the Syrian crisis has no alternative. “They confirm the need to preserve the unity, sovereignty, territorial integrity and stability in Syria, and there is no alternative political solution to the crisis, which will allow the Syrian people to determine their own future,” the declaration reads. “They also emphasize the need for early stabilization of the situation in the Middle East and North Africa through a political settlement of the crises in accordance with the principles of the UN Charter and universally recognized norms of international law,” the SCO states said.Syria has been mired in a civil war since 2011, with the Syrian army fighting numerous opposition factions and Islamic extremist groups.